LGBT activism and the making of Europe : a rainbow Europe? Europe has long been regarded as a unique place for the promotion and furthering of LGBT rights. This important and compelling study investigates the alleged uniqueness and its ties to a relatively long history of LGBT and queer movements in the region. Contributors argue that LGBT movements were inspired by specific ideas about European democratic values and a responsibility towards human rights, and that they sought to realize these on the ground through activism, often crossing borders to foster a wider movement. 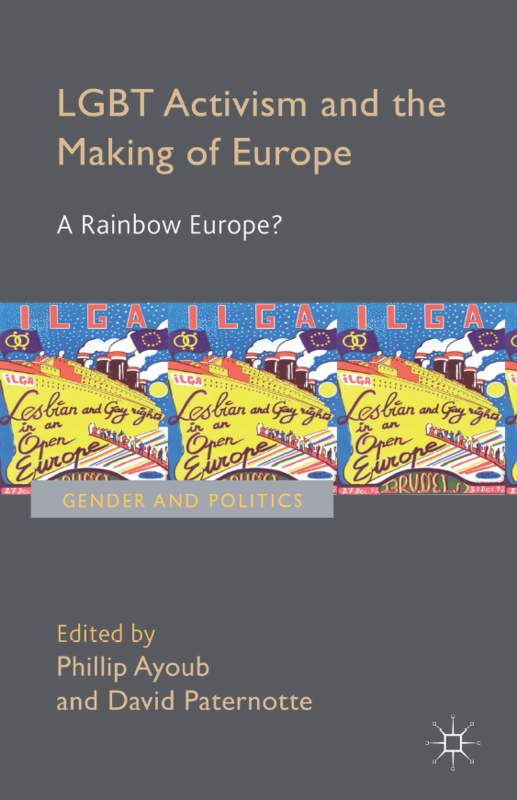 In making this argument, they discuss the ‘idea of Europe’ as it relates to LGBT rights, the history of European LGBT movements, the role of European institutions in adopting LGBT policies, and the construction of European ‘others’ in this process.